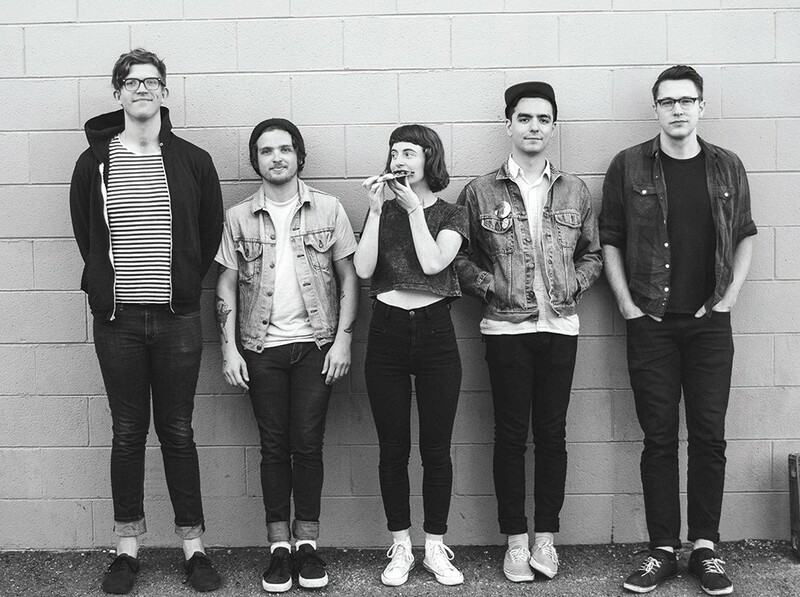 Next week, Portland-based indie pop group Wild Ones come through Spokane for the fourth time this year. It would make sense for Danielle Sullivan to be a solo artist — like Cat Power or Jenny Lewis, both of whom she idolizes — but she says the four other guys in her Portland-based dream-pop-centric band Wild Ones make it what it is. And singing in front of people was never something Sullivan thought she'd do. "I thought my voice would be painful to people's ears," says the lead singer and lyricist from the band's 15-passenger van, driving toward San Francisco last week. Sullivan was 18 when she sang in public for the first time on a friend's porch. She was wobbly and red-faced, but the response was so overwhelmingly positive she joined a folk band the very next day. Today, the 27-year-old's self-assured lyrical vocals are light and chirpy; slightly peculiar but never boring. Perfect to engage any venue, no matter how many times Wild Ones play there. Since January, Wild Ones have played the Bartlett three times. Next week, they're back in town to do it again. This tour is the group's sixth of the year — in that time, the five-piece has toured most of the country, making appearances at South by Southwest, Capitol Hill Block Party and MusicFest NW along the way. As recently as last year, they didn't know if this amount of exposure was possible for them. Together since 2010, it's been a wild ride, but not too wild, as Sullivan says the band's name is a misnomer. Wild Ones have watched their fellow Portland indie bands receive national recognition while they toiled away on their record. The group painstakingly took years to write and record their debut studio LP Keep It Safe themselves, but money and personal issues kept the release on hold. Once the album finally came out last summer, it propelled them further than ever before, leading to invites to the aforementioned music festivals. They're working on a new album now. One that's darker, soulful and even includes hip-hop — Sullivan is a big fan. She says the new album should be ready sometime next year. In the meantime, they're working and writing as much as they can. They surround themselves with like-minded people, including indie Portland bands Typhoon and Genders, who practice next to them in an old concrete factory-turned-artist space.